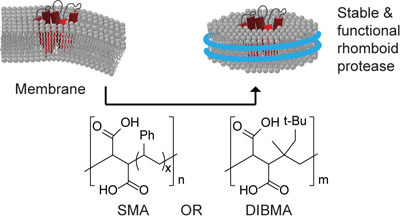 Marta’s paper on solubilization of rhomboid proteases in lipid nanodiscs by using amphipathic polymers was accepted for publication in J. Am. Chem. Soc. The review of Suravi, Jan Pascal, Merel and Roeland on recent advances in activity-based protein profiling of proteases will appear soon in a special issue of Current Topics in Microbiology & Immunology.